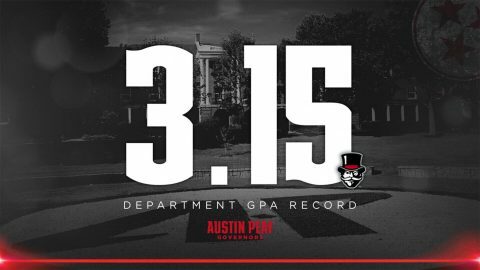 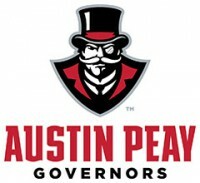 Michaela Campbell | Clarksville Sports Network - Clarksville Tennessee's most trusted source for sports, including Austin Peay State University. 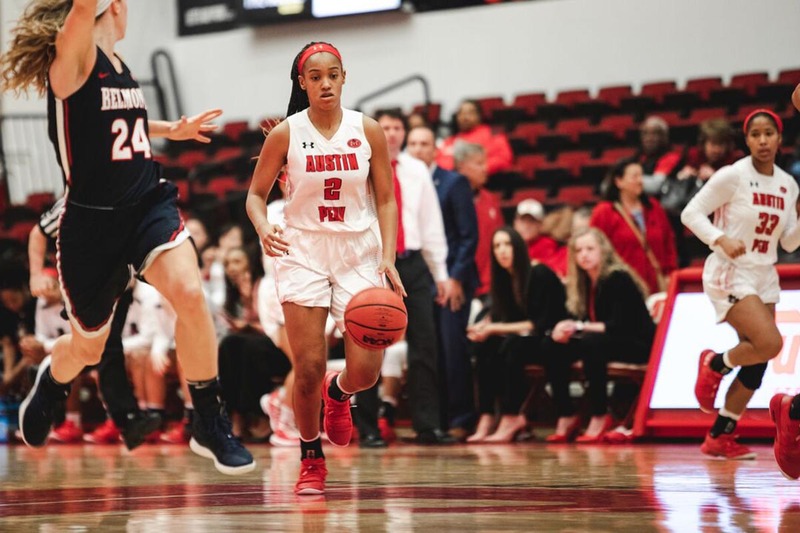 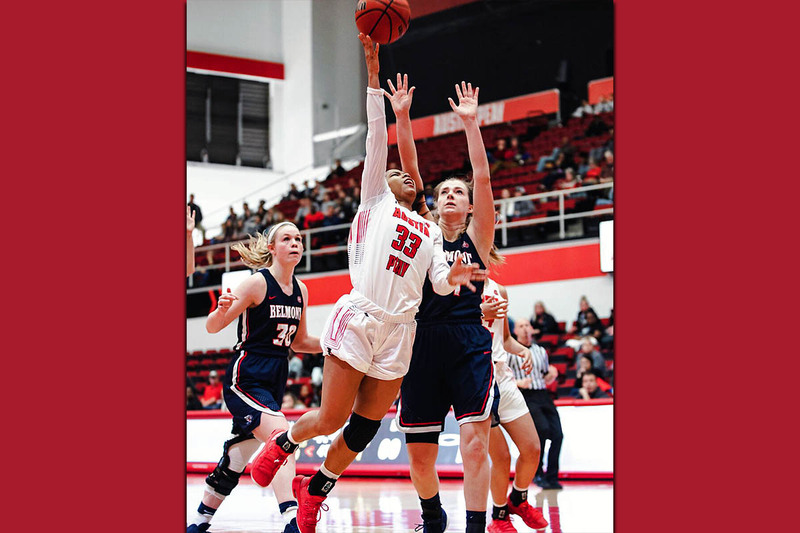 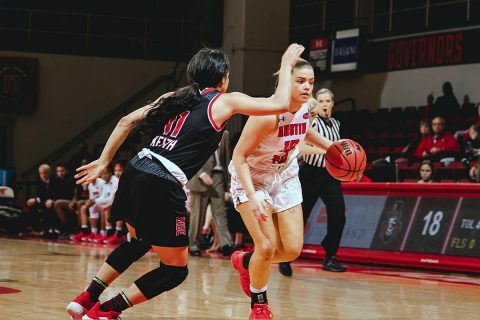 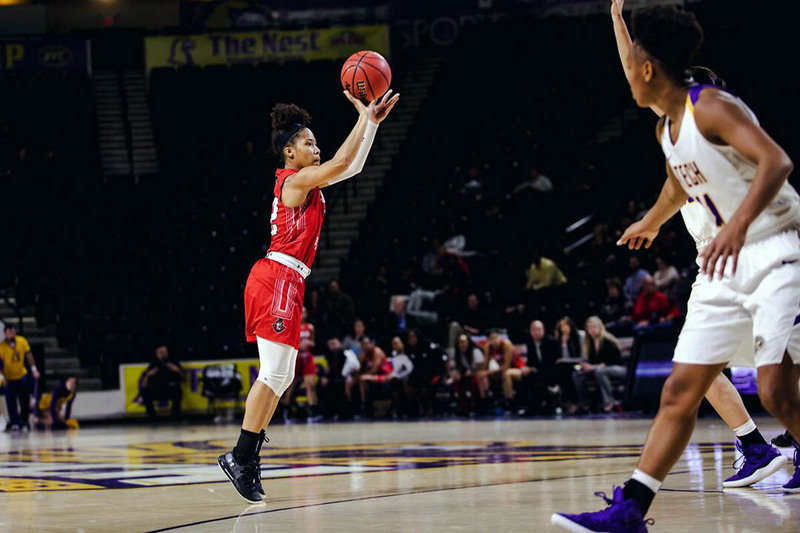 Morehead, KY – Austin Peay State University (APSU) women’s basketball team erupted from beyond the arc in the first half, winning on the road against Morehead State, 84-75, Thursday, at Ellis Johnson Arena. The Governors (12-12, 7-6 OVC) earned a crucial win behind nine first-half three-pointers to earn sole possession of fifth place in the Ohio Valley Conference. 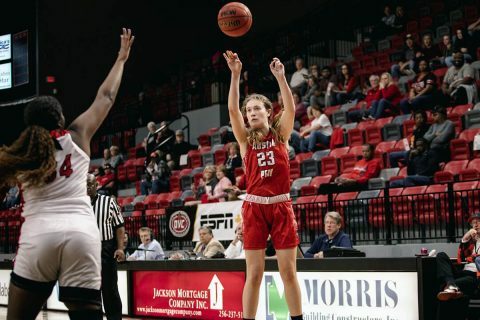 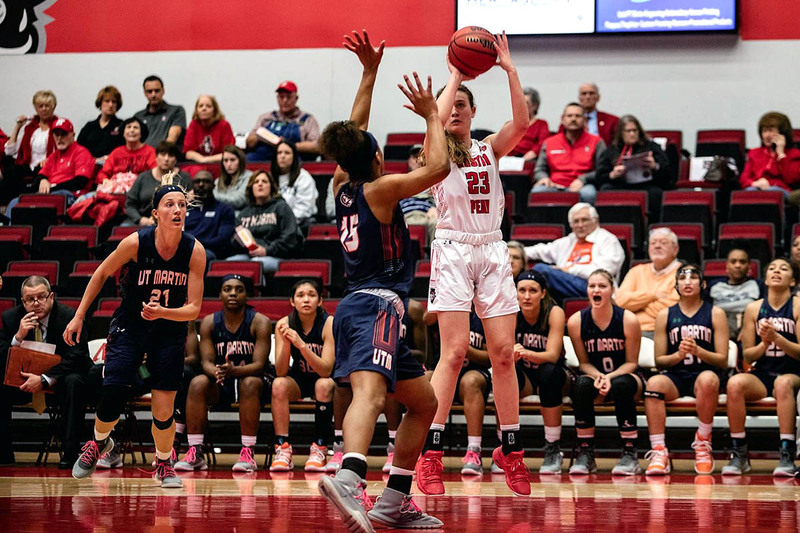 Clarksville, TN – Austin Peay State University (APSU) women’s basketball team faces its second consecutive test against a team atop the Ohio Valley Conference standings, 8:00pm, Thursday, January 31st against Tennessee Tech in Cookeville. The Governors (9-10, 4-4 OVC) are coming off a two-game stretch at home last weekend, splitting with Tennessee State and Belmont. 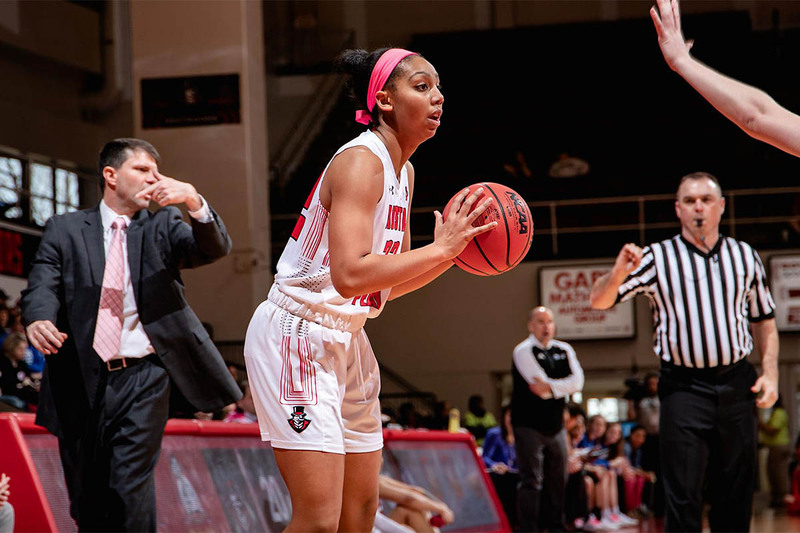 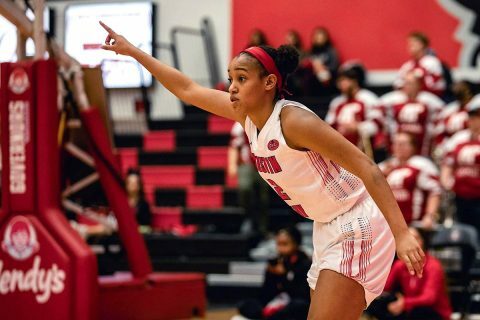 Clarksville, TN – The Austin Peay State University (APSU) women’s basketball team suffered their first Ohio Valley Conference defeat at home to league leaders Belmont, 80-62, Saturday, at the Dunn Center. 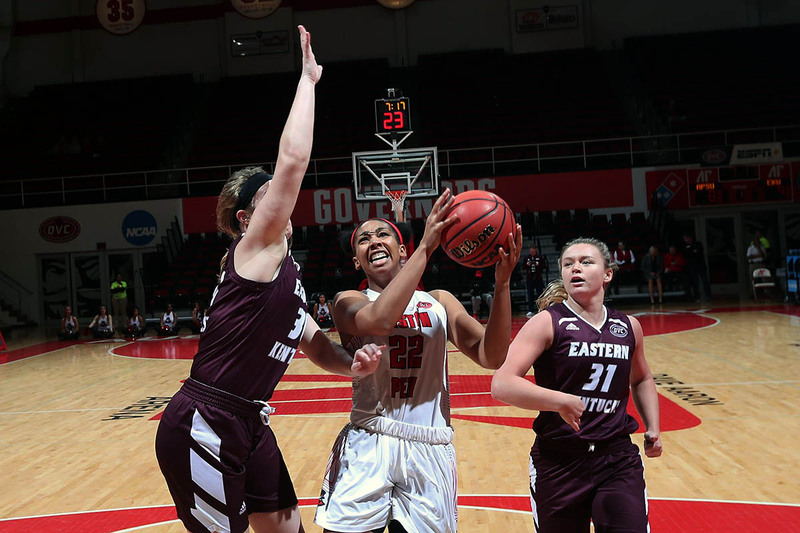 The Governors (9-10, 4-4 OVC) used a dominate third period to come back from a double digit behind Nieja Crawford’s career-high 18 points, but the Bruins (14-5, 7-1 OVC) held on in the fourth. Clarksville, TN – Austin Peay State University (APSU) women’s basketball team opened Ohio Valley Conference with a statement win, hitting the century mark as they defeated Eastern Kentucky, 100-65, Thursday, at the Dunn Center.